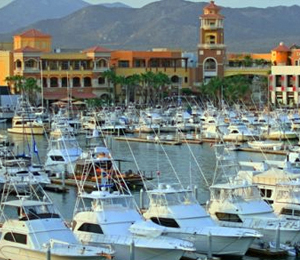 Marina Cabo San Lucas is one of the world's outstanding yachting, sport fishing, and mega-yacht facilities. It is the site of the world's richest sport fishing tournaments for tuna, dorado, and marlin. Located at the tip of the Baja Peninsula in the harbor of Cabo, Marina Cabo San Lucas is the finest boating facility in Mexico. The Marina is considered to be the heartbeat of the magnificent resort area in Cabo San Lucas. The marina offers every possible on-site convenience both and land and in the water for its boaters. Marina Cabo San Lucas's mission is to provide its guests with first class services -- no less than what a world-class marina would be expected to offer. Customer Documentation Marine documentation agency, offering all government paperwork services. The FUEL DOCK was built in accordance with the highest international standards. One Gasoline Dispenser with two nozzles with a flow of 15 gallons per minute. We offer assorted items and maintenance supplies, wine, spirits, beer, ice, and snacks.